Today Apple announced the new Apple TV. 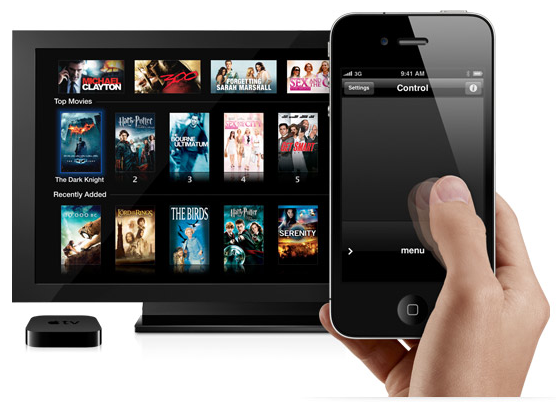 It represents a shift in direction from the existing Apple TV away from ownership and towards renting. It sounds good in theory, and if I were in the US I’d be excited about being able to rent TV shows for 99 cents. However, the picture isn’t quite as bright for those of us in good ‘ol blighty. 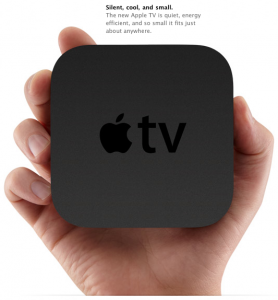 A major selling price of the Apple TV is the price. In the US it retails at $99 (plus applicable sales tax). In the UK it retails for £99 (including VAT). Compare this to the UK rate on Apple’s other offerings and you’ll see it’s a milestone 1:1 exchange. Personally, £99 seems like a perfectly reasonable price point but it jars knowing that our friends across the pond can pick it up substantially cheaper. For the record, if you did a currency exchange, the market rate is ~£65GBP to $99USD (excluding fees). At the moment, it would appear that Apple are not offering TV show rentals in the UK. This is a big mis-step and severely hampers the attractiveness of the Apple TV. In fact, the new Apple TV is all about renting. There’s no point in owning content on a device that can’t store it. Without rentals, there’s no point in picking up an Apple TV. You can rent movies, at the same quality and price as the current Apple TV. But here’s the rub, I watch TV shows every day whilst I only watch movies occasionally. This is the difference between the Apple TV being an every day device and an occasional device. Aside: This is a problem that’s been spoken about in regards to the social network LinkedIn. They were attempting to become an “every day” social network, like FaceBook, rather than a social network that’s only used occasionally. This is a big issue for me and everyone else in the UK. The content we want is not available in the iTunes store when we want it. In fact, the content we want is not available anywhere (legally) when we want it. It’s still the exception rather than the rule when TV content airs in the UK within a week of airing in the US. There are only a handful of shows that this is true for (Lost and 24 being two). Many shows never air over here and therefore never make it to the iTunes store. And to be clear, we’re talking about some great, Emmy winning shows like Breaking Bad. It still astonishes me that I can go on the internet and get a high quality, high definition copy of a TV show just an hour after it airs in the US, but not legally. The revenue that is being lost in the UK (and other non-US regions) because of archaic distribution methods is staggering. Unfortunately, the Apple TV doesn’t help out those of us who may choose to download content that isn’t available over here because of fairly lacklustre video format support. This isn’t a surprise, and format support doesn’t appear to have changed from the current Apple TV. That doesn’t stop it being a disappointment. I’ll preface this by saying I wish we had a service of the quality of Netflix in the UK. We do have a DVD-by-post rental service in LoveFilm, and it’s very good at DVDs-by-post. It also has an online streaming service to go with it. Unfortunately the selection is nothing short of woeful and doesn’t appear to be improving particularly quickly. They also don’t have the slick iOS apps that Netflix have. Netflix streaming to the Apple TV is a major feature for Netflix subscribers. This is something that we can’t do in the UK. Unfortunately, there’s no sweetener for British customers in the shape of BBC iPlayer support, which is appearing on multiple devices in the UK (e.g. the PS3). All we get is YouTube. The lacklustre file support and lack of UK centric streaming services wouldn’t be an issue if Apple had used iOS for the Apple TV operating system and therefore allowed developers to build apps for it. if they did, developers would have stepped in to fill the gaps. A brilliant example of this is the iOS app Air Video. Air Video is a fantastic app on iPhone and iPad that allows you to stream video from your PC or Mac, regardless of the format it’s in. The server app, which sits on your computer, transcodes the video on the fly. It’s faultless as far as I’m concerned. And the icing on the cake is that, given a fast enough internet connection, it will work over 3g as well. It may sound as if I’ve been a bit negative about the Apple TV so far, and that has been the case, but there are some real positives as well. One such feature is the ability to control the Apple TV with your iPhone or iPod Touch (iPad conspicuous by its absence by the way). This isn’t the Remote app we all know but rather something different. It would appear to be an implementation of a multi-touch trackpad on your iPhone that controls the Apple TV. It looks like a subset of the functionality found in Mobile Air Mouse. It will also support using the iPhone keyboard for text entry. Apple has created the greatest remote control in the world. One of the benefits of using an iOS device to control the Apple TV is that it won’t require line of sight to operate, meaning you can hide the Apple TV in a cabinet, out of sight. Should the hardware live up to its billing as being “silent” and “cool” Apple would have created something that people actually want in their living rooms. We’ve heard claims of near silent from media centre PC manufacturers for years, but none have been close. If Apple have nailed this, and there’s no reason to doubt their claims – the Apple TV runs on the same A4 architecture as the iPad, and that’s silent – it will become a desirable device. Far more so than the HDD based alternatives out there. This will also allow the Apple TV to blend into the background, only appearing as an interface on your TV and iPhone. It’s truly commodity entertainment. I’m sitting here wondering whether I’ll buy an Apple TV or not. For me, the viability of the Apple TV will hinge on whether I can stream my existing media to the device. Much of it is in a format that is no supported by Apple. However, my DLNA compliant media server transcodes on the fly, so as long as the Apple TV supports DLNA server, it will work fine and by a valuable addition to my living room. Unfortunately, it looks like the streaming Apple talks of is from iTunes only, and not other file shares, even over a DLNA compliant connection. That’s not to say it’s a lost cause. The USB port on the back of the Apple TV gives me hope that it will very quickly be opened up to allow homebrew software to run on the device. And where there’s homebrew software, there’s bound to be a DLNA compliant client. And when that happens, I’ll be there, cash in hand. Agree with your analysis. I’m not going to buy one until and unless I can stream music direct from my always-on Buffalo Linkstation, which is DLNA compliant. Not sure how Apple can claim that the new ATV is ‘green’, if it relies on a PC or Mac to always be on supply content from iTunes.